Join us for professor Sten Hagberg’s knowledge­able and inspiring talk about a changing ­Burkina Faso, as the country makes a break with its authoritarian past. 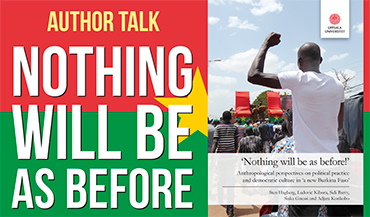 Nothing Will Be As Before is the result of ethnographic research on socio-­political transformations in Burkina Faso. With the popular insurrection in October 2014 that ousted President Blaise Compaoré from power, this country marks a break with its authoritarian past. Burkina Faso is engaged in democratic renewal, at the same time as political continuity is evident. In co-operation with Uppsala Forum for Africa Studies at Uppsala University.